We need confidence in all areas of our life, each and every day. We face many different challenges in our relationships, work, health, setting goals and plans for the future… reaching our dreams. If we lack confidence, even the smallest of situations can cause us anxiety and stop us from achieving our fullest potential. The fact is that confidence is something that we are born with. It’s natural. As babies and little children we don’t judge ourselves as pretty or ugly, smart or dumb. But most of us loose this natural confidence quite quickly. We start to absorb the judgements, fears and limitations of our surroundings. And what is interesting, is that anxiety and lack of confidence is something we learn. So we have unlearnt how to be confident and learnt how to be anxious and doubt ourselves. How comes then that some people are self-confident? Some people were lucky to hear the words of encouragement from their parents, teachers etc. Others proved to be good in something and it set their mindset that anything is achievable. But this kind of self-confidence is different from the in-born one. It requires proof, reward. There is not much point in pushing ourselves to go out to try to find a potential partner or change job just to meet our expectations of failure that have accompanied us from the beginning. In this state of mind we can easily misinterpreted behaviours of other people and just reassure ourselves that we are not worthy to be in a good relationship (where someone respects us), have a job we love… to reach for whatever we want in life, completely forgetting that we are not mind readers and future tellers! The truth is that even if we find a partner, new job, lose weight, buy new clothes and spend all our wages on a beauty treatments, we will still lack confidence and question ourselves: “am I good enough to be with my partner”, “they will dump me”, “I should try harder if not I will definitely loose this job”. We create what we believe would be real and possible in our lives. The self-confidence that doesn’t depend on the outcome of what we do is determined by our beliefs about ourselves. These beliefs are stored in our subconscious mind, beliefs that are deeply rooted and are not willing to change by external proofs, attempts and outcomes. These beliefs affect everything in our life: our actions (or lack of actions), emotional and even physical reactions. To permanently change these beliefs and your level of self-confidence we need to work with your subconscious mind. To release what is limiting you, we need to identify the root cause behind your lack of confidence and low self-esteem. We need to pull it like a weed from its roots, and not just cutting it down, so it can’t grow back. Confidence hypnotherapy is a very good technique to deal with this as it bypasses our conscious critical judgement and allows us to work with what is unconscious. The way I work is, by gentle use of your imagination, visualisation techniques and affirmations, we can identify the events from your past that influenced the way how you perceive yourself and your abilities now. During this gentle and respectful journey we will heal old wounds. Your subconscious is there to serve you and support you, we can give it new reasons and conditions and teach it how it can do the best for you. My mission is to help you to come back to this natural state of self-confidence. I believe that by being authentic and trusting towards yourself you can achieve change you desire, effortlessly and even enjoy the journey getting there. As each person is different it is difficult to judge how many sessions of hypnotherapy you will need to achieve your change. Change is a process, it won’t happen over night. It requires your commitment, presence and inner work. What are the actual consequences of not undertaking your desired change? 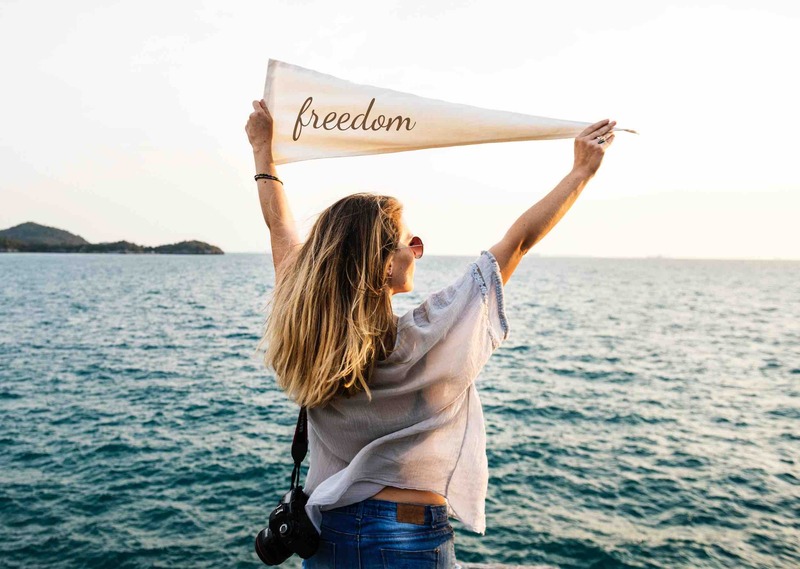 Download this FREE powerful self-confidence program and start your journey to achieve your desired change, gain confidence and fulfil your dreams! ⟵What is holding you back from moving forward?